This Triassic delta covered a whopping 1.65 million square kilometers in size. If it still existed today, its footprint would account for 1% of all land on Earth. Image credits: Tore Grane Klausen. Researchers always knew there was a big, ancient delta in the Arctic — they just didn’t know how big. This Triassic feature lies in what is today the Barents Sea, between northern Norway and Russia. Researchers charted its extent by examining core samples drilled by fossil fuel exploration companies and examining seismic data gathered for the same purpose. These extensive datasets revealed that delta plains covered an area larger than Alaska during the Triassic. It’s the biggest delta ever discovered, both old and new — ten times larger than the Amazon or Ganges deltas, the two largest existing features. 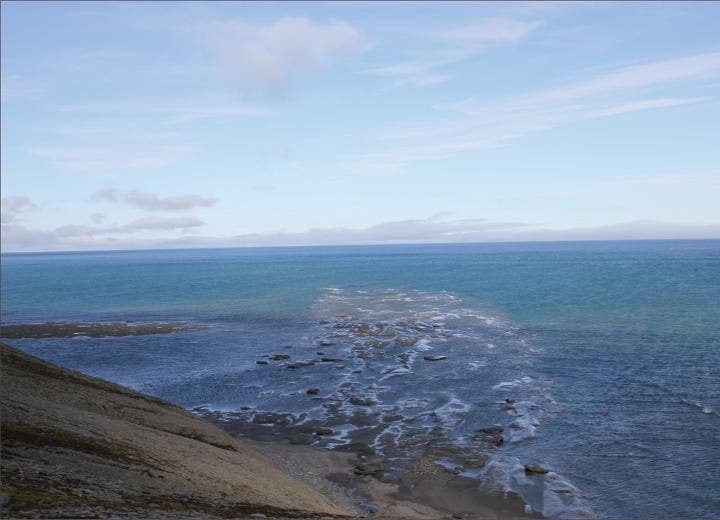 Researchers call it the Triassic Boreal Ocean Delta. The footprint of the Triassic Boreal Ocean (TBO) river delta compared to the footprints of some of the largest modern deltas. Distance is measured in kilometers (km). Image credits: Klausen et al., 2019. Since time immemorial, humans have been drawn by deltas, because they are fertile and water-rich environments. Deltas can support large-scale agriculture and have lied at the core of ancient civilizations. Ancient Egypt’s tight relationship to the Nile Delta is very well studied, and in many parts of the world, deltas have been used for their agricultural potential. However, this also makes them more difficult to study. Humans have continuously managed and altered the flow of rivers, changing the sedimentary structure and covering the deltaic features, masking how these features naturally grow and evolve. This ancient delta was made possible by an unusual geological setting. When the researchers looked at the ancient seafloor bottoms (something called paleo-bathymetry), they found that the delta emptied into a basin that was no deeper than 400 meters. Today’s large deltas flow out the edge of the continental shelf, which quickly dips to depths of several kilometers. This means that modern deltas are unable to grow in size (all the sediment washes out into the ocean). Meanwhile, the Triassic delta grew uninterrupted for about one million years, fed by a large supply of sediment and monsoon-like rainfalls. It might have been even bigger than what this study revealed — researchers didn’t exactly see its edge, so it’s unclear how much more it extends. The timing of the delta is also intriguing. Zircon found in the deltaic sediments was dated to 230 million years ago, the middle Triassic when dinosaurs were only starting to emerge. The world was just coming off of the Permian-Triassic extinction, the most devastating mass extinction in Earth’s history, which is estimated to have wiped over 90% of existing species. This huge delta would have offered the perfect site for both terrestrial and marine life to make a resurgence. Hopefully, future paleontology studies will reveal how life evolved and rebounded in the delta following the devastating mass extinction.